It's finally here! 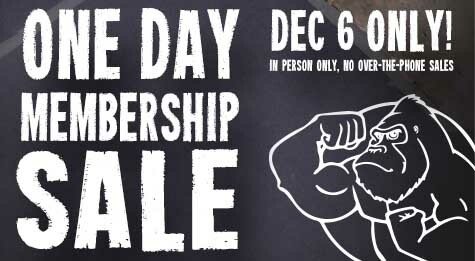 Don't miss the One-Day Membership Sale. One year Edgeworks membership for just $475! A four month Edgeworks membership for just $199! A ten day Punch Card for just $99! No over the phone sales, call in sick or send a friend, but remember, this is a ONE DAY sale. Don't miss it! More Membersehip Sale Info Here! Along with our Membership Sale, we are celebrating our members with a member appreciation day. Thank you all for being members; come celebrate with us! Member Appreciation Day Info (and clinic registration) Here! Along with our Membership Sale, we are celebrating our members with a member appreciation day! ...READ MORE Do you need focused training by a certified personal trainer. We have specialized training just for you! ...READ MORE The Boy Scout rock climbing events are a perfect outings for any Scout Troop.